Calling 6th-grade teachers, students, and homeschoolers too — we have a great recipe cooked up just for you! 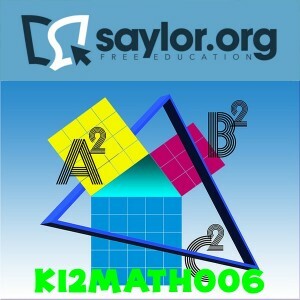 All rhyming aside, the mobile-flavored K12ELA006 English Language Arts 6 and K12MATH006 Math 6 are now available on the Saylor Foundation’s iTunes U channel! K12ELA006: This Common Core aligned English Language Arts course is geared towards sixth grade students and includes readings from Mark Twain, Jules Verne and J.M. Barrie. These authors (and more) will help you learn many things, including how to compare and contrast story elements or main ideas of different texts, study the stages of the writing process and traits of good writing, and so much more. fluently compute with multi-digit numbers and find common factors and multiples, understand ratio concepts and use ratio reasoning to solve problems, and loads more. Not on iOS? Not to worry…our courses also live at Saylor.org.